Pakistan is now facing the wonderful environmental changes and it was declared as one of the top ten countries, which are affected by the climate change in Global Climate Risk index, which was released by the public policy group, Germanwatch. The climate change has the adverse affects on the planet and the climate change left the big impact on the agriculture, health and overall economy of our country. PTCL E-Billing Engages in Greener Pakistan. 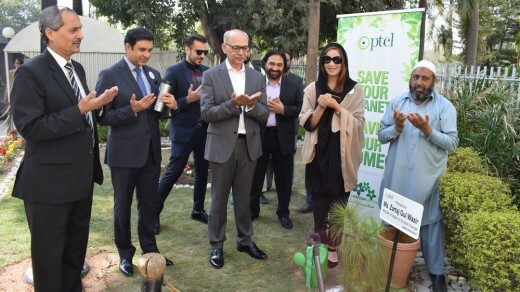 PTCL has made the partnership with WWF Pakistan for the tree plantation campaign and they planted 200,000 mangrove seeds in Lasbela district of Balochistan and it will act as first barrier of defense, when that area was flooded during rainy season few decades now. 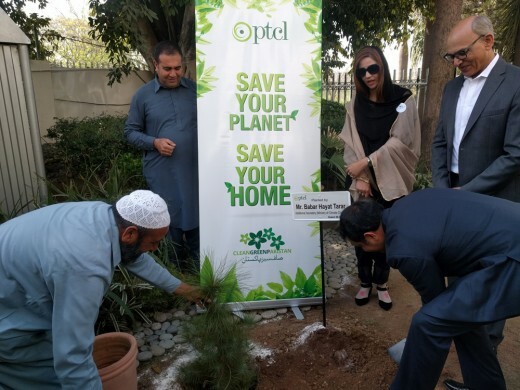 Now PTCL has signed an agreement with Ministry of Climate Change and they agreed upon forestation of 200,000 trees at PTCL sites across Pakistan in next five years. With the plantation of new plants will start cleanliness drivers in the small and big cities across Pakistan including Karachi, Lahore and Islamabad to assist the solid waste management. The organization has banned the non-recyclable plastics in PTCL HQ in Islamabad and they arrange clean drinking water for the employees and PTCL has installed filtration units in order to provide clean and neat drinking water to its employees as well as to the general public. The latest initiatives of the company is most engaging as it has started to get consent from customers to stop sending monthly bills on paper and now they chose e-billing. This step has created the awareness among people about this issue and it has given the opportunity to clients contribute in this cause. Now all new customers will get their eBills and they are informed by sending email and text messages. The customers can subscribe to eBilling and they can call on PTCL helpline 1218 or subscribe online through PTCL website or through TouchApp. Now the customers can pay their bills through UPaisa and they do not need to show paper bill. They will provide their telephone number and area code without providing more details. The PTCL employees are supporting this initiatives and the entire workforce is shifted to eBilling. The company is operating on the national level and it takes the responsibility to reduce paper waste throughout the country and it will give the significant impact to make the country green. The company has adopted the easier and faster way of paying bills, which is environment friendly and it also saves the time. The deforestation affects persons, community and to the whole world. You can give the examples of responsible organizations, which is looking forward and they aim to save the remaining forest and contribute in increasing forestation in the country and make Pakistan greener and pleasant.